The Louvre Museum has 8.5 million visitors per year. This blog was viewed about 70,000 times in 2011. If it were an exhibit at the Louvre Museum, it would take about 3 days for that many people to see it. Bonne Année! Feliz Ano Novo! Feliz año nuevo! 新年快乐！ Szczęśliwego Nowego Roku! Boldog új évet! Gelukkig nieuwjaar! La Mulţi Ani! İyi seneler! Gott Nytt År! Buon Anno! Onnellista uutta vuotta! Godt nytt år! Štastný nový rok Sretna Nova godina! Ευτυχισμένος ο καινούργιος χ......ρόνος Godt nytår! Feliĉan novjaron! Srečno novo leto Feliç Any Nou! كل عام وأنتم بخير! Frohes neues Jahr! šťastný nový rok! สวัสดี ปี ใหม่!- नया साल मुबारक हो! yeni yılın kutlu olsun! - שנה טובה! - furahia mwaka mpya! hapus flwyddyn newydd! سال نو مبارک! - あけましておめでとう! с новым годом! hyvää uuttavuotta! срећна нова година! is-sena t-tajba! 새해 복 많이 받으세요! 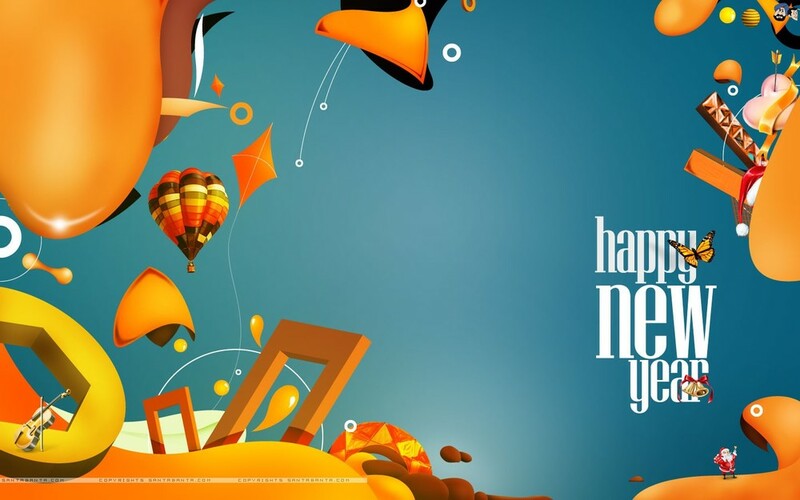 From all of us at the Nahmias Cipher Report, wishing you increased prosperity, health, peace and happiness in 2012! Kim Jong-un | North Korea's Military Puppet? PYONGYANG, North Korea — Kim Jong-il, “supreme leader” of North Korea died on Saturday, 17 December 2010, purportedly from a heart attack at the age of 69. Although the North Korean people suffered abject deprivation and human rights abuses under his reign; news broadcasts from state official Korean Central News Agency (KCNA) displayed throngs of people wailing and crying in the streets more than a week after his death. On Tuesday the scene was much more dignified and solemn as the North Korean people and foreign dignitaries prepare for the succession of his twenty-year old son Kim Jong-un. A solemn procession of people filed past the body on display in a glass coffin at the Kumsusan memorial palace in the capital, Pyongyang to pay their last respects. Kim Jong-il’s passing was a shock and possible bad omen as his death comes days before the beginning of 2012. The regime has promoted next year as the point at which the country would achieve development and prosperity. This vision is at odds with the starvation, torture and prison camps which we described as ‘North Korean Gulags,’ where an estimated 200,000 people are imprisoned in harrowing and horrific conditions. The KCNA urged the nation's people and military to rally behind and "faithfully revere" the soon to be figure head. Kim Jong-un has been pronounced the "supreme leader" of the 1.2-million strong military, also known as “the revolutionary armed forces." This haste to install him even before the mourning period has passed is a disquieting foreshadowing of a country that could easily fall under greater military control because of a weak successor. Kim Jong-un made a third visit Saturday to the palace where his father's body is lying in state — this time accompanied by North Korea's top military leaders. Since Kim’s reported stroke in 2008, he had begun to groom Kim Jong-un to take control of the insular state, appointing him a general last year and giving him several high profile roles. Kim Jong-il’s death will also be felt far beyond North Korea's 24 million populations. The White House said that President Barak Obama is monitoring the situation. Secretary of State Hillary Clinton and former President Bill Clinton attended the funeral. North Korea has been an international concern because of its nuclear and missiles programs. Seoul's Yonhap news agency said South Korean military leaders had declared an emergency alert following Kim's death and widespread anxiety about potential instability and the implications of the change in leadership. Chung Young-tae, of the Korea Institute of National Unification, told Reuters: "Any prospect for a strong and prosperous country is now gone. There is a big possibility that a power struggle may happen. It's likely the military will support Kim Jong-un” but that has yet to be determined. Right now it appears the military will continue to wield control over the people to keep them in line and prevent any potential uprising during this tumultuous time. Nearly 300,000 women worldwide may be adversely impacted by the improper manufacture of breast implants by the now-defunct French company Poly Implant Prothese (PIP). Dutch health authority spokeswoman Diane Bouhuiss estimates that some 1,000 women in the Netherlands have the implants and have been advised to contact their physicians or have them removed. The name of the Dutch company has not been revealed, but the rebranding of the implants produced by PIP, once the third-largest manufacturer of breast implants in the world, is a serious health concern. The company stands accused of using industrial-grade instead of medical-grade silicone in some of its prostheses. These implants were sold in a number of European and Latin America countries. The use of non-medical grade silicone enabled the company to undercut the market thereby increasing its global market share. Defenders of the PIP implant have issued statements claiming that the scare was "more psychological than scientific" and that no concrete link had been made between PIP implants and cancer. No one has been charged in the case, though an investigation into involuntary homicide is going on, following the death from cancer in 2010 of a woman who had PIP implants. Reuters reported that as many as four to six former PIP employees could be charged. Non-medical grade silicone is only used in aquarium joints, automotive, coatings, cookware, defoaming, dry cleaning, electronics and fire stops. With regard to the health hazards of medical grade silicone, extensive studies have been conducted and no connection to cancer has been found. According to the MedScape reference website “the modern silicone breast implant has been available since 1963 and has gone through an evolution of change and improvement. Basic to all implants is a silicone rubber (elastomer) shell, which can be single or double, smooth or textured, barrier-coated, or covered with polyurethane foam. The foam-covered devices have not been available in the United States since 1990 but are still marketed in Europe. Silicone is probably the most studied implantable material available today. After over 35 well-conducted studies from many countries, it seems certain that this material does not cause disease. The results of more than 7 long-term follow-up studies show that women with implants have a reduced incidence of breast cancer than is otherwise expected in the general population. No hard evidence reveals that a broken implant is harmful. Almost all of the problems that can occur with breast implants, such as infection, hardening, extrusion, and malposition are related to the surgical procedure or the patient's own biology, not the device." Today we mourn the passing of a beloved old friend, Mr. Common Sense. Mr. Sense had been with us for many years. No one knows for sure how old he was since his birth records were long ago lost in bureaucratic red tape. He will be remembered as having cultivated such valuable lessons as knowing when to come in out of the rain, why the early bird gets the worm, and that life isn't always fair. Common Sense lived by simple, sound financial policies (don't spend more than you earn) and reliable parenting strategies (adults, not kids, are in charge). His health began to rapidly deteriorate when well-intentioned but overbearing regulations were set in place. Reports of a six-year-old boy charged with sexual harassment for kissing a classmate, teens suspended from school for using mouthwash after lunch, and a teacher fired for reprimanding an unruly student only worsened his condition. Mr. Sense declined even further when schools were required to get parental consent to administer aspirin to a student, but could not inform the parents when a student became pregnant and wanted to have an abortion. Finally, Common Sense lost the will to live as the Ten Commandments became contraband, churches became businesses, and criminals received better treatment than their victims. Common Sense finally gave up the ghost after a woman failed to realize that a steaming cup of coffee was hot, then she spilled a bit in her lap and was awarded a huge financial settlement. Common Sense was preceded in death by his parents, Truth and Trust; his wife, Discretion; his daughter, Responsibility; and his son, Reason. He is survived by two step brothers: My Rights and Ima Whiner. There are many voices within the global and American landscape that continually challenge us to peek behind the veil, to question authority, and practice free thought. In past decades, authors, philosophers and even filmmakers provided the impetus for us to dig deeper beneath the surface. Movies like Fahrenheit 451, Soylent Green, Animal Farm and 1984 are but four examples of an entire genre of intellectual activism that seems increasingly on the decline. Ray Bradbury, Richard Fleischer, and George Orwell are the epitome of visionaries whose prophetic voices warned society of the perils a mid-20th Century society would face should it recklessly continue its pursuit of manufactured pleasures and myopic fiefdoms. Today, Michael Moore, Eric Schlosser and Al Gore through their films "Capitalism: A Love Story," "Food Nation," and "An Inconvenient Truth," risk the wrath of the system by unveiling the truth of the "man behind the mirror." Truth is available in every age at all times if we but have a desire to hear and the fortitude to change our corner of the world. At first glance it would seem that the gods of materialism, distraction and avarice have successfully vanquished our society. It was cunningly accomplished with our tacit complicity because we willingly yoked ourselves to the technology designed to anesthetized us. We are 24x7 plugged into the system, living vicariously through handhelds, tablets and laptops, we are more in touch but less connected. We complain about starvation in the break room but can't summon the energy after leaving work to volunteer or participate in some form of activism that would demonstrate our genuine concern. We complain about the disparity between the wealthy and the poor but given a choice between donating half or even a quarter of a paycheck to help the poor or upgrade our vehicle to the latest model, we routinely choose the latter. We have bought into the system with eyes wide open. We know we are the hamster on the wheel, we joke about being the cog in the wheel, but deep down we believe if we run fast enough and row hard enough, we will somehow dislodge ourselves from the system and retroactively become its architect. We are ghosts in the machine and we equate our invisibility with powerlessness, when in truth it is exactly the opposite. Though we cannot architect a system that is constructed and humming on high, we can rearchitect our function within the system. In this era of increased apathy, powerlessness, and somnambulism, it is crucial to remain vigilant and engaged. Revolutions are effected by individuals with the fortitude and desire to improve not only their lives but those of the society in which they live. The first step for us is to continue to challenge and question all forms of propaganda manufactured by the triumvirate of Globalization, Corporatocracy and Democracy. I narrowly survived an infection of cerebral malaria when I was 10 years old. We lived just outside of Dar es Salaam, the capital of Tanzania, and because my father did not believe in Western medicine, he forbade my mother from seeking treatment for me when I fell ill. If treated at the immediate onset of symptoms the chances of recovery are quite high. However, by the time she took me into Dar to the hospital, I beyond the threshold of medical intervention. The doctors told my mother to take me home and prepare for my death. My mother did take me home where I lapsed into a coma while she tried everything she knew to break the fever and bring me back. Through her valiant caring and prayer I awoke from my coma I remained critically ill for many months afterward. I was one of the lucky few who survive cerebral malaria in which mortality rates for patients is as high as 50%. This particularly pernicious disease is the number one killer in the world today with a 90% percent of malaria-related deaths occurring in sub-Saharan Africa. The PATH Malaria Vaccine Initiative (MVI) was funded in large part by the Bill & Melinda Gates Foundation and conducted trials on 6,000 children at 11 sites across sub-Saharan Africa. The trials showed that three doses of the RTS,S vaccine reduced the risk of children experiencing clinical malaria and severe malaria by 56 percent and 47 percent respectively. Research is continuing, and efficacy and safety results in 6 to 12 week-old babies are expected by the end of 2012. Information about the longer-term protective effects of the vaccine, 30 months after the third dose, should be available by the end of 2014. "A vaccine is the simplest, most cost-effective way to save lives," says Gates. "These results demonstrate the power of working with partners to create a malaria vaccine that has the potential to protect millions of children from this devastating disease." "These results confirm findings from previous Phase II studies and support ongoing efforts to advance the development of this malaria vaccine candidate," says Tsiri Agbenyega, a principal investigator of the trial and Chair of the Clinical Trials Partnership Committee. "Having worked in malaria research for more than 25 years, I can attest to how difficult making progress against this disease has been. Sadly, many have resigned themselves to malaria being a fact of life in Africa. This need not be the case." The team is now working towards approval by regulatory authorities. If the Phase III trials go well, the World Health Organization (WHO) has indicated that it could recommend the RTS,S malaria vaccine candidate as early as 2015, allowing African nations to include the vaccine in their national immunization programs.